Furnace replacement can be a very daunting task for a homeowner, especially if you don't have the slightest idea of what you are looking for. Here at Logan Services, we make HVAC replacement a smooth, easy process for our customers! 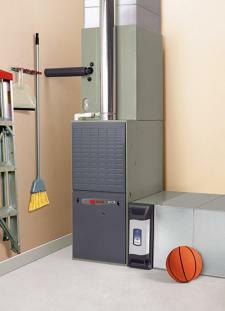 Furnace installation should be done properly and professionally at all times. While you may really like your handyman, you should overlook him for this job. Choose a preferred professional, like Logan Services, and take the worry and hassle out of this project. It is extremely important for your representative to recommend proper sizing of your furnace unit. Bigger isn’t always better, as it will cause your system to turn on and off frequently, resulting in a shortened HVAC lifespan. Also, a system that is too small will run non-stop and never properly heat your home, nor keep you comfortable. Purchasing a higher-efficiency system may seem like an unneccesary upfront cost, but the savings in energy will save you more in the long run. Find a system that is afforable for your budget that can also save you cash on your monthly utility bills. If you are in the process of searching for a furnace, look no further! Our friendly, heating and cooling experts can help you find the perfect system for your home! Contact Logan Services today before making your next move. Proudly serving Columbus, Dayton and Cincinnati, OH!